Nearly all companies realize that the way to gain a competitive advantage is to obtain better data, interpret them quickly, and distribute them in easier-to-use formats. However, there are many obstacles to the effective use of data and few companies surmount them all—a fact that results in a lot of unused corporate data. How are companies using information to beat their rivals and create a more level playing field? 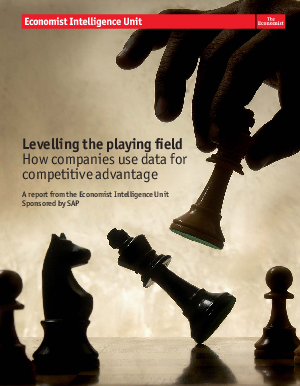 This report from the Economist Intelligence Unit examines how their practices are evolving and offers examples of data use at some highly successful companies.